Belize, a country in Central America, was chosen as one of Lonely Planet’s picks for the best value destinations of 2017. 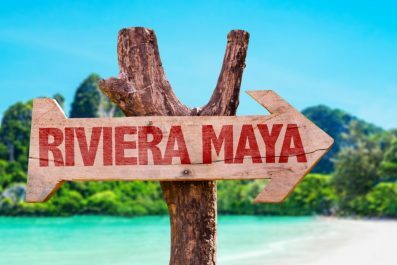 Nature lovers and history buffs will surely love to explore the country’s ancient Maya ruins, lush living landscapes, barrier reefs and tropical forests. While it’s impossible to experience everything, even if your trip lasts more than two weeks, this itinerary is designed to allow you to visit Belize’s most famous attractions. Read on for suggestions on how to make the most of your time in Belize. 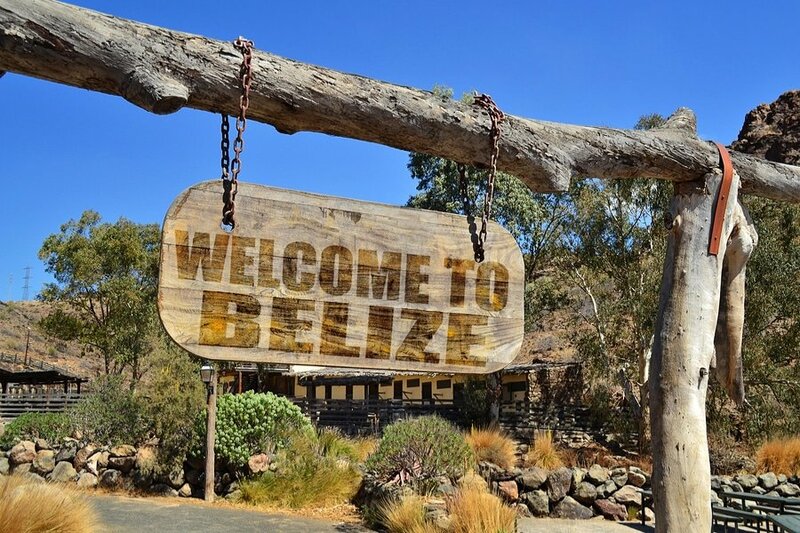 Language – English is the official language of Belize, primarily because of its history as a British Colony. Spanish and English-based Creole are the other main languages being spoken in the country. Communicating with locals will not be a concern because a large majority of people are multilingual. 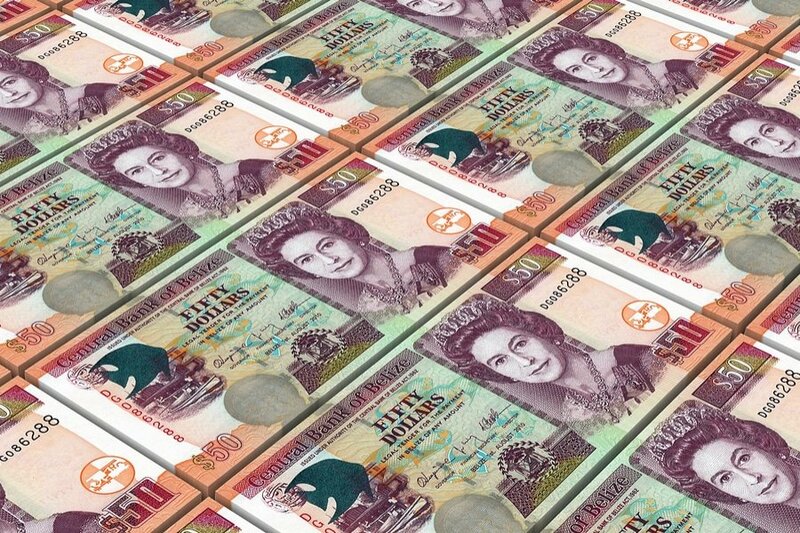 Currency exchange – Belize Dollar is the official unit of currency in Belize. Almost every destinations in the country readily accept U.S. dollars because the BZ dollar by law is tied to the U.S. dollar at a fixed rate of 1 U.S. Dollar for 2 BZ dollars. Credit cards are widely accepted, especially in hotels, restaurants and tour companies. If you need to get BZ dollars, the easiest way to do this is by using ATMs which are aplenty in Belize City and other district towns. Safety and security – There is currently no nationwide security advisory in effect for Belize. Check your country’s travel advisory website to get the most up-to-date information for your personal safety abroad. Every traveler, especially solo female travelers, should take safety precautions because there has been an increase in reported armed robberies, sexual assault and violent crime targeting tourists. Driving on your own is not recommended because some roads are poorly maintained. Getting to Belize City – Schedule a flight that will arrive early in Philip S.W. Goldson International Airport (PGIA), which is located approximately 30 minutes north of Belize City’s center. Round trip airfare from New York costs 350 USD and up; from London – 558 USD and up; from Seoul – 1150 USD and up. On a tight travel budget? You can consider flying into Cancun, Mexico and catch the overnight Autotransportes De Oriente (ADO) express bus to Belize City. Since Cancun is one of the most popular destinations in the region, the prices for airfare tend to be lower. The overnight bus between Cancun and Belize City cost about 41 USD and the journey takes 8 and a half hours. Unfortunately the ADO buses do not leave from the airport but from the bus terminal, so you will need to get a taxi or a bus from the airport to the bus terminal. You can find more info and current schedule and prices on ADO’s website. 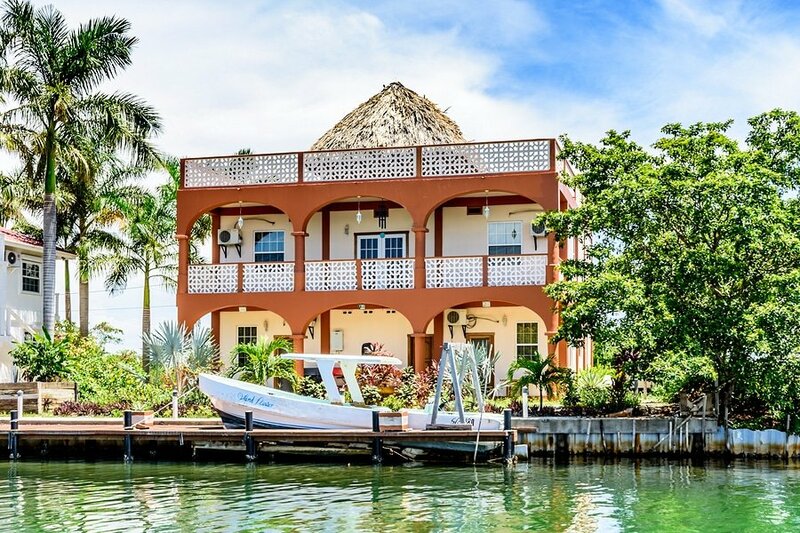 Accommodation – There are many types of holiday accommodation in Belize, from luxury hotels and family-friendly resorts to cheaper accommodation like hostels. There are also plenty of vacation rentals if you prefer the comfort and convenience of having your own place with cooking facilities. Getting around – Buses are the cheapest and most popular way of getting around. Taxis in Belize (identified by their green plates) are licensed but they do not use meters, so negotiate the fare in advance. Boats are the primary mode of transportation when visiting the Cayes. Check into your preferred accommodation. If your flight gets in early enough, head to the nearest restaurant or cafe for a quick breakfast. Wear a comfortable walking shoes as you will do a lot of walking for today. Do not force yourself yet to get out of Belize City like most tourists do, because Belize’s vibrant capital offers plenty of things to see and experience. 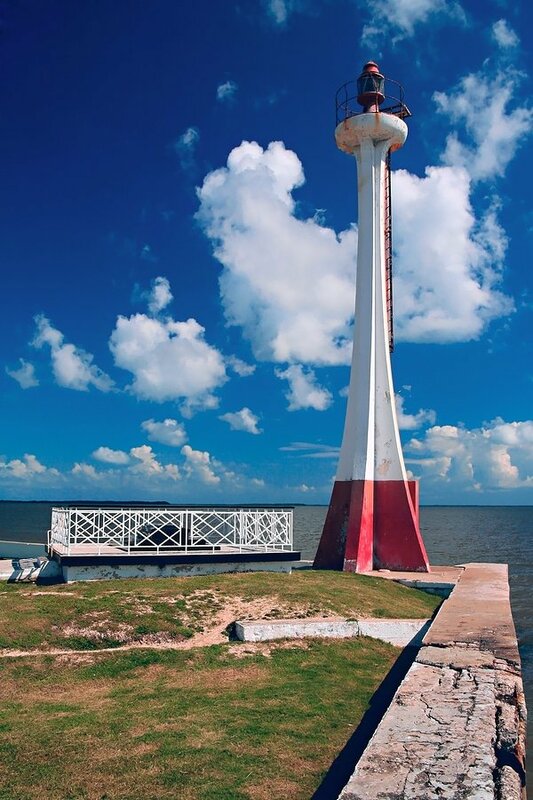 Start your walking tour at the Baron Bliss Lighthouse, a memorial of Henry Edward Ernest Victor Bliss, one of Belize’s national benefactors. Actually, Baron Bliss never set a foor on the land of Belize but he was impressed by the hospitality of the people of Belize. The lighthouse is impressive and it is a great spot for dolphin-watching. Come to grips with Belize’s history and culture by visiting Museum of Belize. 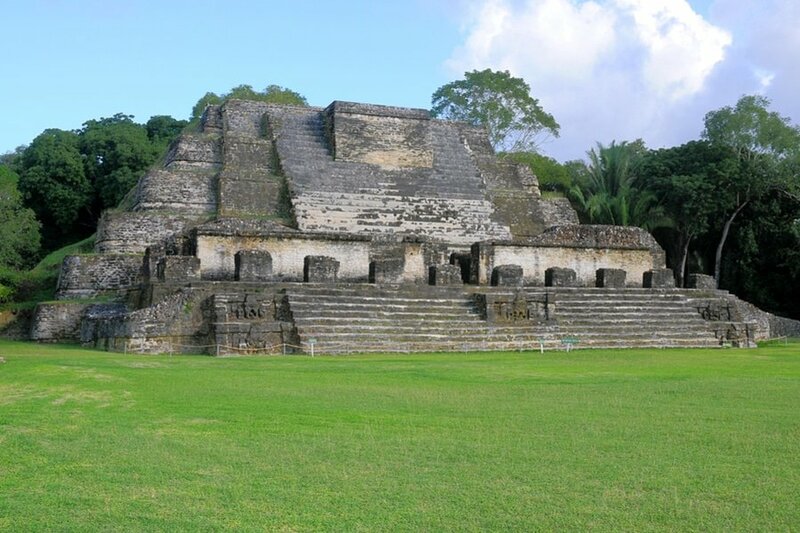 In the afternoon, make your way to Altun Ha Maya Ruins, located an hour north of Belize City. This ancient Mayan city is the most visited Mayan site in the country because of its many traces of Mayan culture. This site was also where the largest carved Jade artifact was found – the head of Kinich Ahau, the Maya Sun God. Back in the city, head to Riverside Tavern Restaurant (2 Mapp St, Belize City) for dinner. After dinner, head back to your chosen accommodation and sleep early for your tour the next day. Start your day at one of Belize City’s best breakfast and brunch spots. Then, take a 35-minute flight to Placencia through Maya Island Air or Tropic Air. There are also direct shuttle buses from the city to Placencia town and travel time only takes 3 hours (check out this link for more information). A cheaper option to get to Placencia is by taking direct buses, which leave 4 times daily. Travel time is about 5 hours. Upon arrival in Placencia, check in to your preferred hotel, take it easy and soak up the atmosphere on this day. If you happened to travel on the second week of February, then you can join the celebration of Placencia Sidewalk Arts Festival. 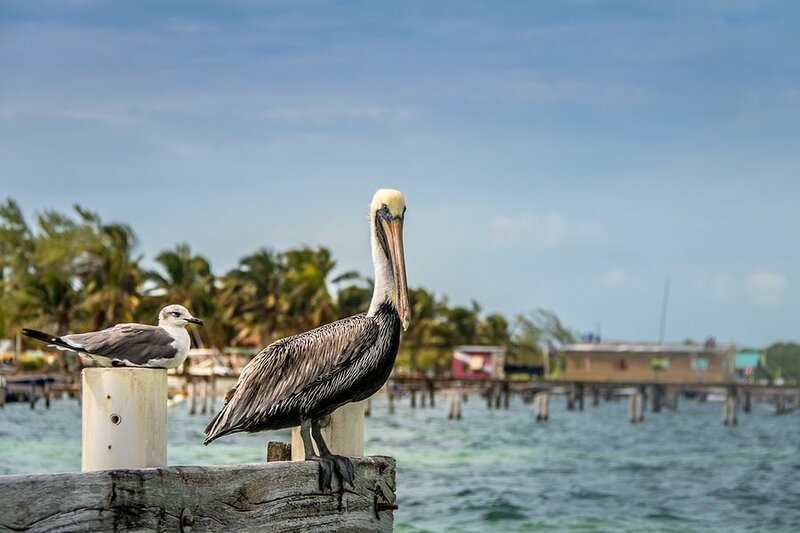 On day 3, embark on one of the most exciting day trips out of Placencia by heading to the Laughing Bird Caye National Park, located just 11 miles from Placencia Village. 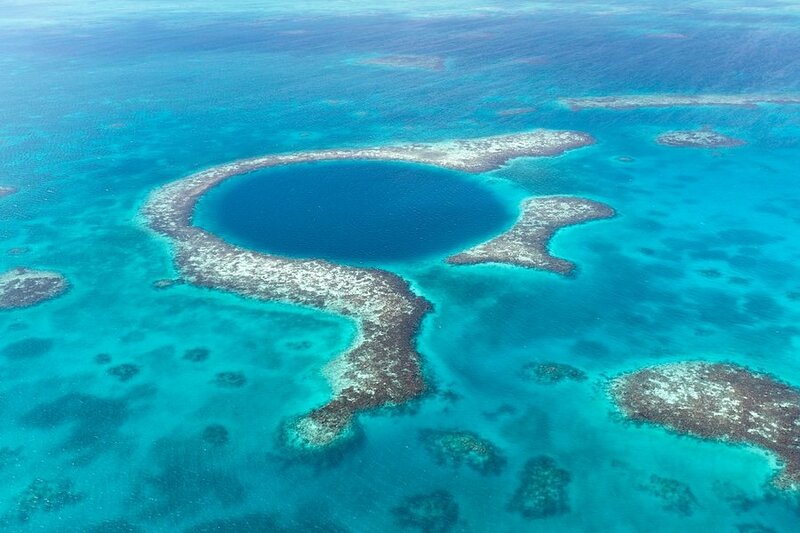 This national park is a popular island destination in Belize where marine life has been protected since 1991. It is one of the best places in the country to snorkel and dive among big snappers, sea turtles, sting rays and barracudas. Laughing Bird Caye is also famous among nature enthusiasts and bird photographers because it is home to several exotic birds like osprey, green heron, blackbird and brown pelican. Wake up to a delicious breakfast on your private room or get a slice of authentic Belizean life in one of its popular local restaurants. After breakfast, check off the next thing on your wanderlust wishlist, which is to explore Monkey River. 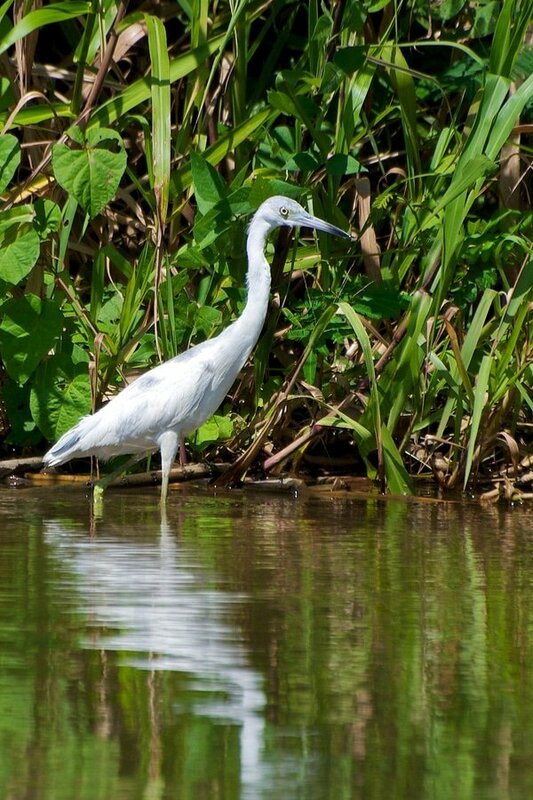 This is a great opportunity to appreciate the natural eco system of Belize and see wild animals like crocodiles, iguana, monkey, wild deer and so much more. Monkey River is a Photographer’s paradise so make sure to bring your camera (you can also bring extra batteries because you will surely take many photographs). You will start early and your group will travel to Toledo District in Southern Belize. Once your group reaches the town, you’ll hop on a motorboat that will take you through the mangroves. On day 5, enjoy a comfortable journey through one of the most breathtaking sceneries from Placencia to San Ignacio in Cayo District (check out this link for more information). Located between the Macal and Mopan rivers, San Ignacio is the rustic cultural-economic hub of Cayo District. Take it easy and soak up the atmosphere in San Ignacio. Once rested, head to the Green Iguana Conservation Project at San Ignacio Resort Hotel. Then, make your way to the Medicinal Jungle Trail, just across the Green Iguana Conservation. In the evening, have a light and relaxing dinner at one of the top rated restaurants in San Ignacio such as the Guava Limb Cafe, Pop’s Restaurant and Ko-Ox Han Nah (which means “Let’s Go Eat”). Wake up early and join a guided tour to the enigmatic site of Xunantunich and Barton Creek Cave. 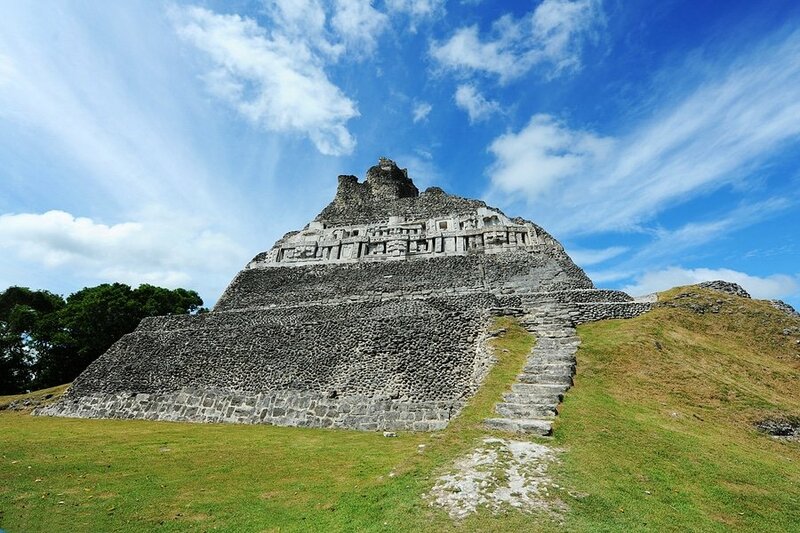 It is believed that the ancient Belize Maya settlers established Xunantunich, meaning “maiden of the rock”, between 600-300 BC. By joining a guided tour, you will learn about how this great civilization developed some of the most complex architectural buildings, impressive stone monoliths among other things. The highlight of this ancient site is the El Castillo pyramid ruin where you can get a panoramic view of Cayo District and Guatemala. Next, your tour group will continue to Barton Creek Cave, one of the most famous cave destinations in Belize. On day 7, return to Belize City via the Western Highway and take a short commuter flight to San Pedro Airport on Ambergris Caye. Ambergis Caye is Belize’s largest island. The fligh between Belize City and San Pedro is only 15 minutes and you can fly there either with Maya Island Air or Tropic Air. The cost with of one-way ticket is about 75 USD with either one. If you are on a tight budget that you can get to San Pedro via a ferry. The ferry cost 20 USD for a one-way trip and 35 USD for a round-trip (check Belize Water Taxi’s website for up-to-date prices and schedule).Upon arrival, check into your preferred accommodation in San Pedro Town. Drop off your luggage and explore some of the attractions by renting out a bicycle. Undoubtedly one of the best travel experiences in Belize is a visit to Hol Chan Marine Reserve and Shark Ray Alley. 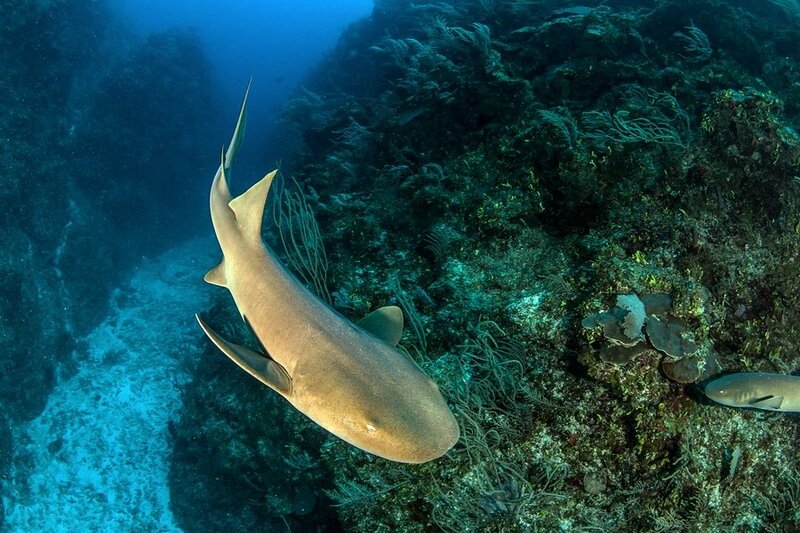 It is one of the best places in the world to spot Nurse Sharks and Sting Rays. You can either go on a snorkeling day excursion or go on a diving adventure. Divers and snorkelers should pay attention to strong currents at times. On your ninth day in Belize, wake up before dawn and wait for the sun of the new day to appear on the horizon from your hotel room in San Pedro. Waiting for the sunrise is probably one of the most fascinating experiences you could get in Ambergris Caye. 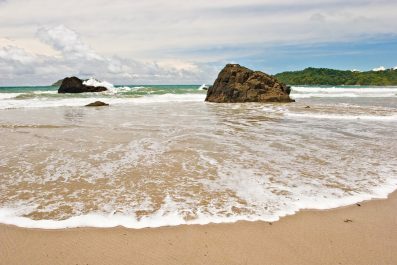 In the morning, enjoy the beaches near San Pedro Town. If you have extra bucks to splurge, get a bird’s eye helicopter view of the Blue Hole and surrounding atolls. Today marks the end of your adventure in Belize. Start early in the morning in order to be transferred to the airport in time for your flight back to Belize City. 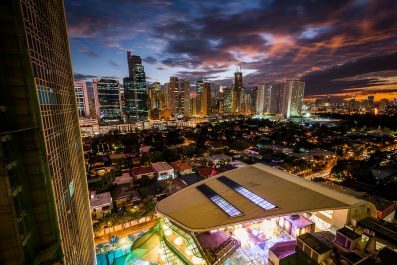 If your international flight is in the evening or late afternoon, explore the city for other attractions you might have missed. Fit in one last amazing lunch or dinner in the city. You could even squeeze in some souvenir shopping at before you travel to Philip S.W. Goldson International Airport (PGIA). This is the end of our 10-day suggested itinerary to Belize. We hope you can utilize this trip suggestion and make it as a starting point to plan your own personalized itinerary. Take time to meet the locals and sample the best Belizean dishes. If the pace gets too hectic, then reorder your sightseeing priorities. Happy travel! Have you been to Belize? Do you have any tips or suggestions to share? If so, you can leave your comments below. Glad you enjoyed it. Share pictures after the trip!